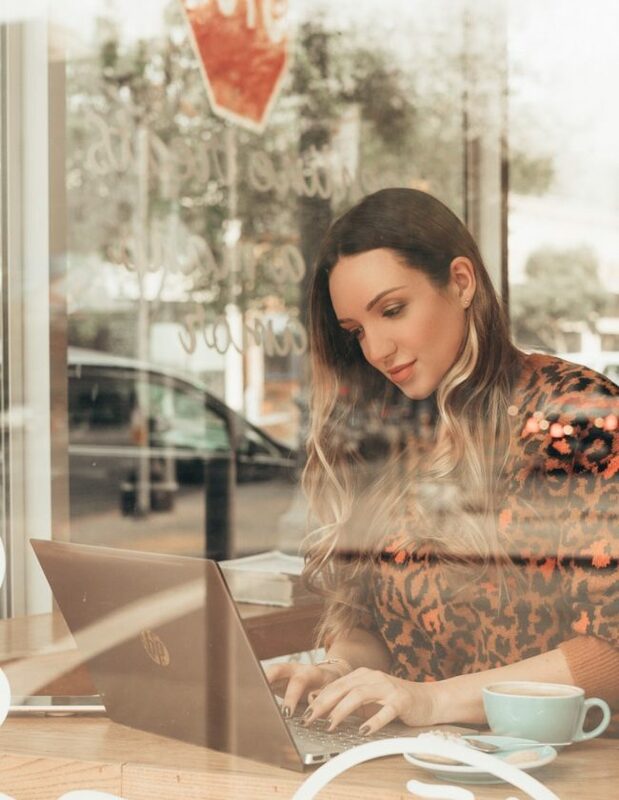 A typical photoshoot day involves picking out my outfits, doing hair and makeup, location scouting, and shooting–and all of it can be quite exhausting! 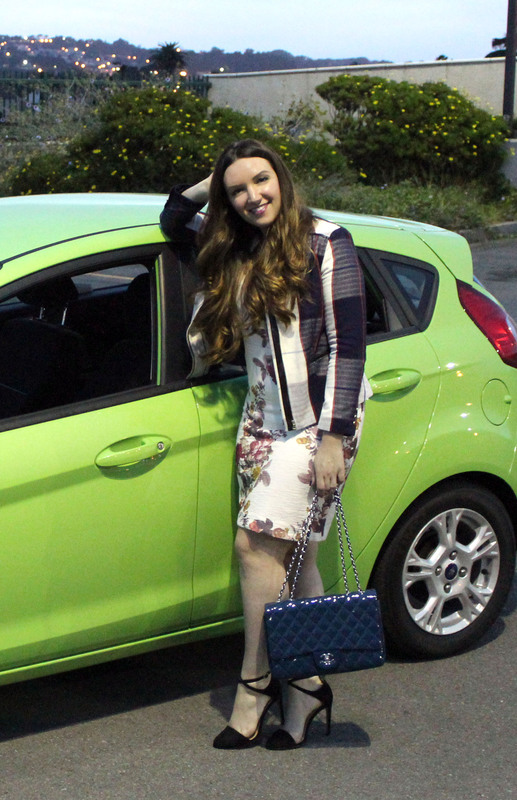 I connected with my friends over at Ford to test out the new Ford Fiesta and bring it along on a typical Just Add Glam photo shoot day. 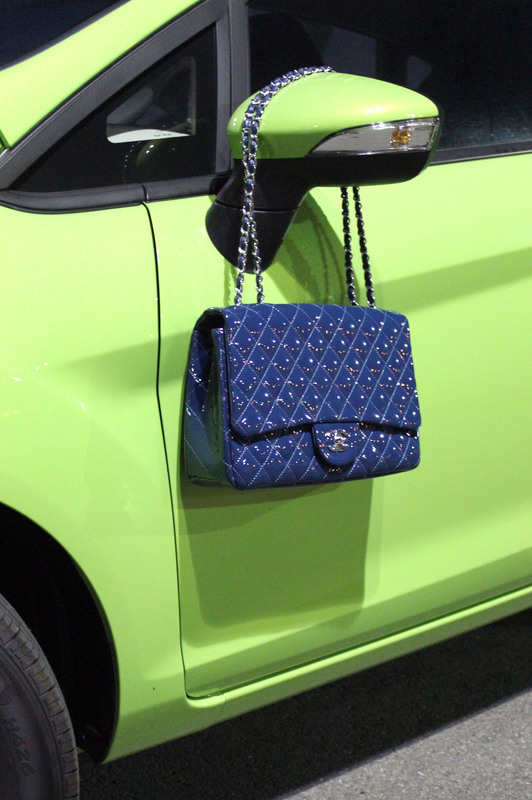 It was really fun to zip around in the perfectly compact car (great for San Francisco traffic and one way streets…right?!?) 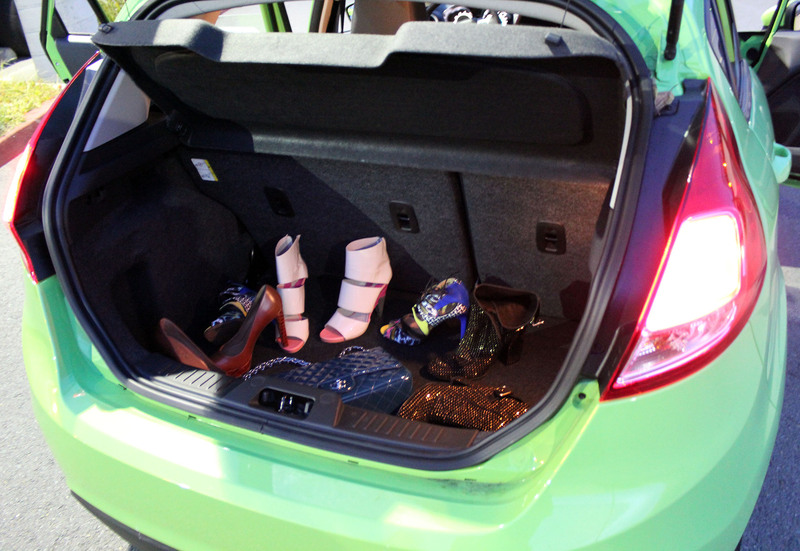 with enough room to haul around our important gear (camera, shoes, clothes, and more shoes…). 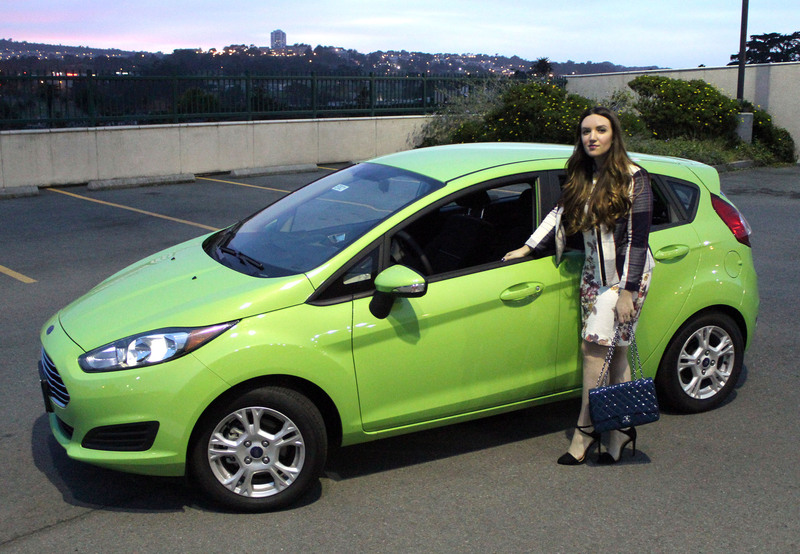 It was a lot of fun riding around in the 2014 Ford Fiesta on a shooting day, and I was inspired to share the Fiesta Movement with you! 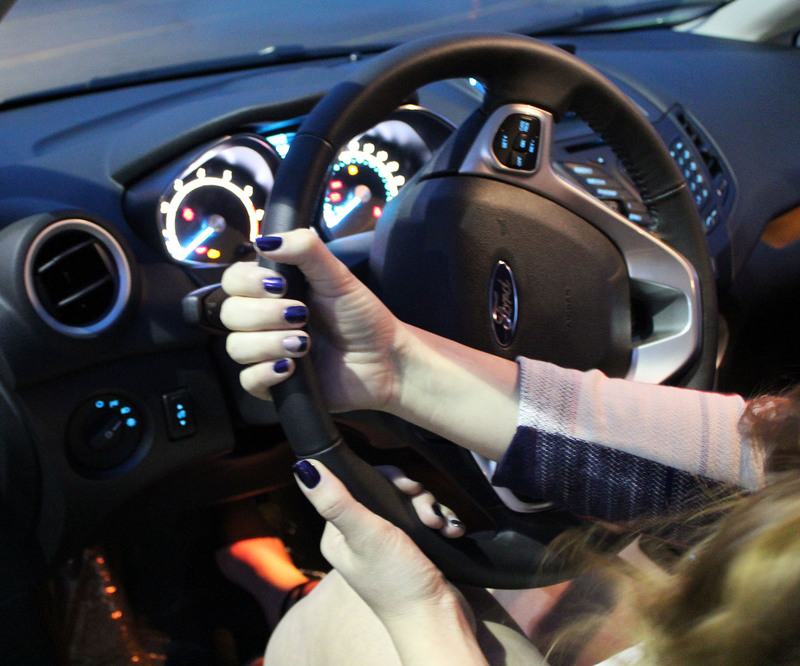 The Fiesta Movement is a project where 100 people embarked on over 1,000 missions in the 2014 Ford Fiesta. Ford covered their gas and car insurance, and the creators came up with their adventure. It was fun to see how some of the other people embarked on their adventure, like Tracy and Stefanie from eleventhgorgeous. Check out their Fiesta Movement video below where they head to New York City to help ELLE Magazine plan a party around their September 2013 issue…how fun! Unfortunately Daylight Saving Time crept up on us and we were quickly losing light when we shot these photos (I guess parking lot lights work in a pinch, right?) I’m excited to share more photos with you soon of the looks we shot throughout the day. What you gonna do with all that junk, all that junk inside yo’ trunk? I think I also have four pairs of shoes in my car at any given time. A girl’s gotta be prepared. Jennifer! Love this! So cool. Nice meeting you tonight girly! XOXO.